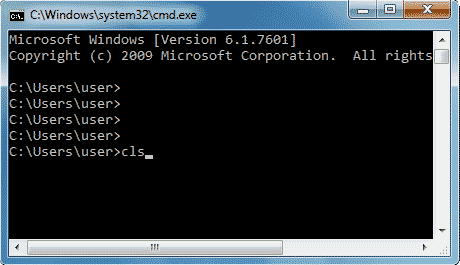 In the Microsoft Windows command prompt (cmd) you can use cls command to clear screen of cmd. This equal to clear Command on Unix Like Operating Systems. Well, I do not think there is a keyboard shortcut to cls command(clear cmd) in windows, at least not by default. But that as for my knowledge (I even search in the Google). Anyway, If any one of you know the shortcut just drop me an email message @ elearning.wsldp.com@gmail.com, SO I can update this tutorial.